Description - The Kingwood collection by Shaw offers a stylish hickory wood appearance at a friendly price point. 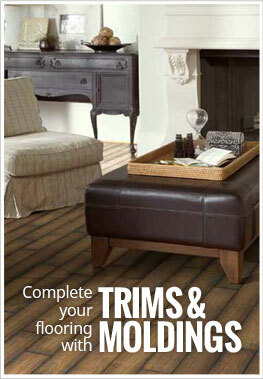 This engineered flooring collection features a beveled edge and rich, beautiful color options from the hickory family. These engineered hardwood flooring planks are more versatile and resistant to moisture and can be installed on, above, or below grade. Easy to install and maintain, these engineered wood planks are a great addition to any room in your home and are backed by a 50 year warranty. Size – The Kingwood engineered planks are 5" wide and come in random lengths from 8" to 84". Average plank length is ~ 3'. Thickness – Each wood plank is 3/8" thick. The wood veneer is 1.6mm thick. Weight – Each engineered wood plank weighs ~1.5 lbs per sq ft. Recommended Uses – Kingwood engineered hickory planks are suitable for many applications. Shaw's Kingwood hickory floors have been installed in dining rooms, living rooms, family rooms, model homes, home basements, dentist offices, museums, kitchens, libraries, and many more areas. More durable and moisture resistant. The Shaw Kingwood was a great choice! This floor is durable and sleek, I love it! Floor is very nice... Only minor flaws in some of the pieces.